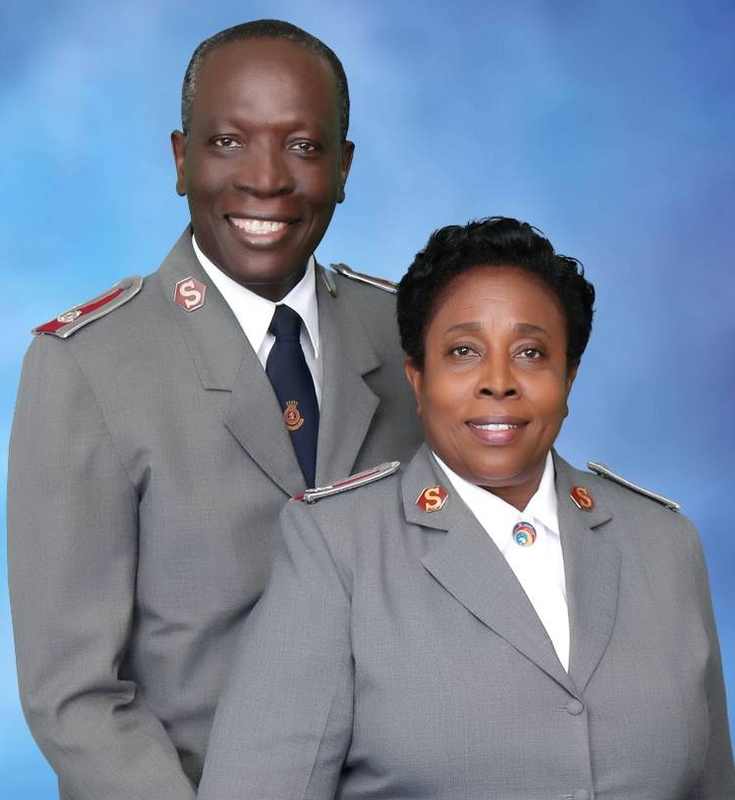 Commissioners Devon & Verona Haughton serve as the leaders of The Salvation Army Caribbean Territory, with the titles of Territorial Commander and Territorial President of Women's Ministries respectively. They have been part of The Salvation Army for almost all their lives - the last thirty-seven and forty-two years respectively they have served as officers (Ministers). Born in Portland, Jamaica, Commissioner Devon Haughton is a graduate of Portland High School and entered The Salvation Army Training College in 1979 as a member of the “God’s Soldiers” session. A delegate of the 145th Session of the International College for Officers (ICO) he also participated in training courses for Training Principals in Santiago and London. Lt. Colonel Devon completed studies in Management with William & Catherine Booth Theological College and is now pursuing a Master of Arts Degree in Global Urban Leadership at BAKKE Graduate University in the USA. His active preaching and teaching ministry has been evident in several of the islands of the Caribbean. Commissioner Verona Haughton (nee Henry) was born in St. Catherine but all her formative years were spent in Buff Bay, Portland. She entered The Salvation Army Training College in 1974 as a member of the “Overcomers” session and was a delegate at the Administrative Leadership Training Course in Australia and Training Principal’s conference in London. Lt. Colonel Verona holds a Master of Arts Degree in Pastoral Psychology & Counselling and a Bachelor of Arts Degree in Guidance and Counselling. She also has certificates in Supervisory Management and Public Speaking from Training and Development Services, a branch of Human Resource Development. She has passionately devoted time to the training and development of officers and steered the territorial training college to be recognized as an educational institution under the Independent Schools of Jamaica. Above everything else, the Haughtons love the Lord, His people and His work and are completely committed to the mission of “saving souls, growing saints and serving suffering humanity”. They have been married for 36 years and are proud parents of an adult daughter, Tephanie Olivia, who brings them great joy.